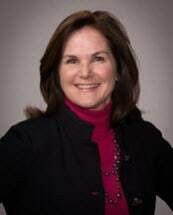 Valerie Portner has been an attorney licensed to practice in Maryland and Washington, D.C. since 1988. She was recently selected into the Top 100 National Trial Lawyers organization. She currently provides valuable input on all of the Firm’s larger personal injury cases. In addition, she continually advises the Marketing Department, and assists with personnel management. Since Valerie’s training came from the defense side, she often provides our personal injury attorneys insight to the insurance defense attorney’s arguments. Valerie grew up and was educated in the Baltimore area. She graduated from Randallstown High School, and thereafter obtained an undergraduate degree from The Johns Hopkins University, and a law degree from the University of Maryland. Valerie initially gained experience clerking for Judge Robert Karwacki on the Maryland Court of Specials Appeals. Thereafter, she spent six years working for what was then Maryland’s largest law firm, Venable, Baetjer, and Howard. Next, she took an in-house legal position with The Johns Hopkins University Applied Physics Laboratory in Howard County. Working while raising three children lead her to decide to leave Johns Hopkins APL and join Portner & Shure. She remains active with the Firm and currently has a Top Superb 10.0 Rating with AVVO. Additionally, Valerie is involved with all of the education and sports endeavors of her children. Two of her children are Division I athletes (Georgetown and Davidson). Her oldest daughter will soon be attending the University of Maryland Law School, and is currently gaining valuable experience interning with the Philadelphia District Attorneys Office. These offices are satellite offices only. Please schedule an appointment before dropping by.